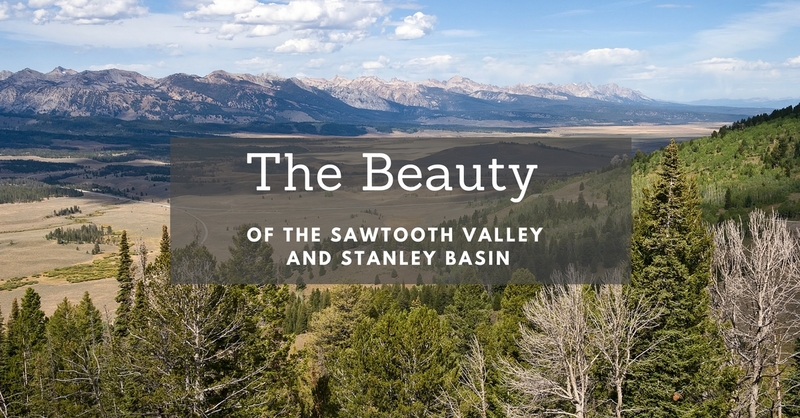 The terrain of the Sawtooth Valley can be described as, simply stated, spectacular. You will frequently find elk, bighorn sheep, and mountain goats grazing and foraging in the hills. Whether you are driving through the 260 mile route or stopping at one of the mountain peaks to do one of the 5,000 foot climbs, there are many ways to experience the splendor of The Sawtooths. Whether you drive from Boise to make your way to Sun Valley, or start in Ketchum and drive to Stanley, either route is awe inspiring. There are many things to keep you busy including hiking, fishing, paddling the white water of the Salmon River, or checking out a ghost town, but make sure to leave plenty of time for Stanley and Red Fish Lake! At the Galena Overlook, you will arrive at the Galena Summit (8,701 feet). This is definitely a time to stop and take out your camera! You will be greeted by spectacular, expansive views of the mountains. Another popular stop is Galena Lodge for both summer and winter activities. Ketchum was established in the 1880s when miners hauled their gold, silver, and lead out of the mountains into this new town. After the silver market collapsed in 1894, the town became barren until the 1930s when Averell Harriman built the Sun Valley Resort. It is now an authentic western resort town with a European flair. Lots of paved pathways make it easy for visitors to go bike or run. Finally, go to the Sun Valley Resort where there is an array of activities all year round. This is popular with locals and celebrities alike, and the reason so many choose to live here. If you would like more information on things to do in Sun Valley and Ketchum, please call or email me.